Fashion collides with mobility in the Kayla Clutch. The genuine leather clutch combines this season’s color block style and a protective case for a chic and convenient way to carry your device. The stand-out trend mixes blocks of different colors for a decisive look. 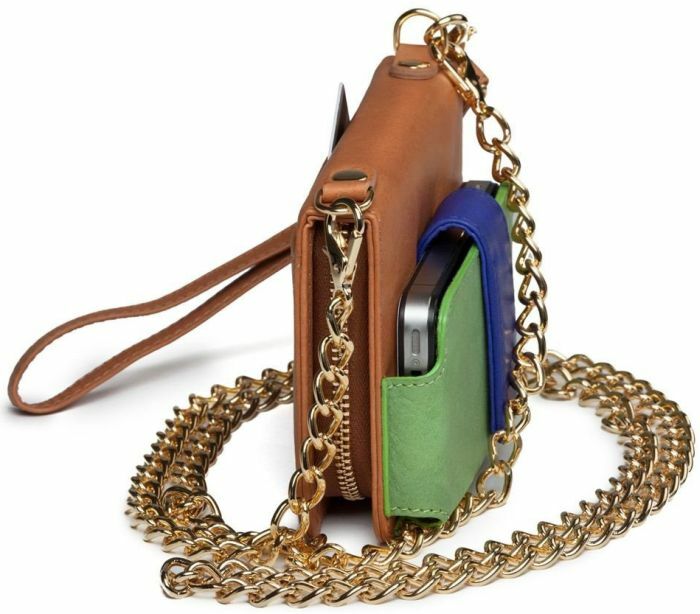 Designed to wear on the wrist or cross body with the detachable metallic chain, it’s as versatile as you.